The designer of the world’s most iconic firearm has freely transferred the right to use brand name Kalashnikov to a new weapons factory. It is thought to be worth $10bn. Izhmash, the factory producing the famous gun, is merging with another industrial plant in the town of Izhevsk – Izhmech - into a major armory under the brand Kalashnikov. 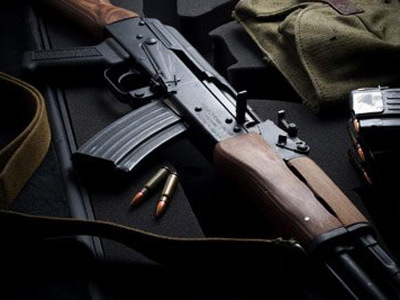 The managing director of Izhmash says, designer Mikhail Kalashnikov agreed to transfer the rights in February this year, and that the documents for registration of the rights for brand have been submitted to the Federal Service for Intellectual property Rospatent. The factory initially planned to buy the rights to use the name Kalashnikov for up to 3 million roubles ($100,000), media reports. 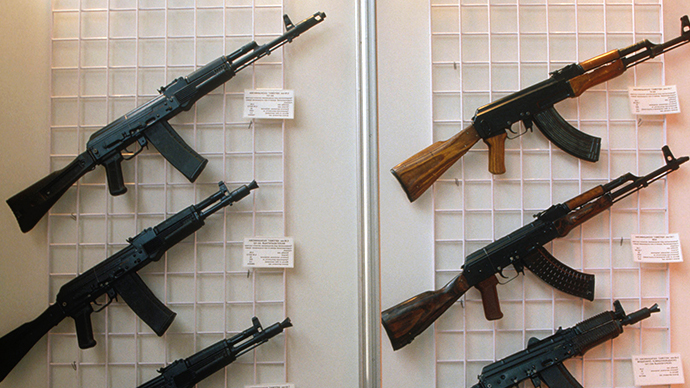 However, the head of the factory Konstantin Busygin said, Kalashnikov has not even raised the money issue. “Mikhail Timofeevich is a patriot, a true patriot. Not a single word was said about a payment,” Busygin says. He also said, the "Kalashnikov" brand will not be used just for military products. "Anything from household chemicals to hats, suits, shoes, handbags – anything you wish," Busygin adds. Before the transfer of rights to use the brand, "Izhmash" had only the right to use the word "Kalashnikov" in conjunction with the graphical picture of the gun and its symbol on the military products. 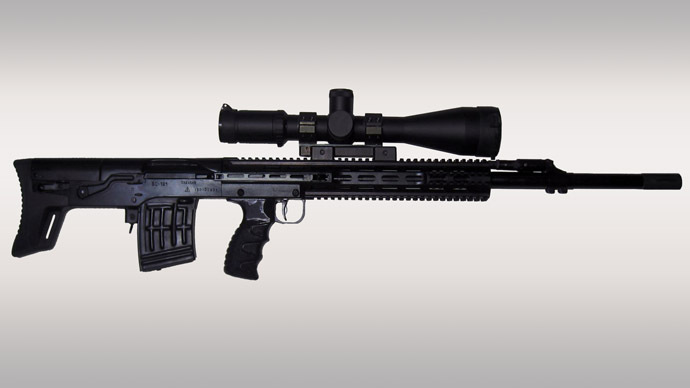 Izhmash is Russia's largest producer of military automatic and sniper weapons, as well as a wide range of civil products shotguns, sporting rifles, machine tools and tools. The firm exports to 27 countries, including the US, UK, Germany, Norway, Italy, Canada, Kazakhstan and Thailand. However, production under the brand name "Kalashnikov" has never been regulated in terms of copyright. Illegal copies of the gun and souvenirs are produced around the world. The opportunity from the potential sales of "Kalashnikov" brand products can be compared with a brand such as Apple, Lifenews.ru reports. "The real value of the brand is in the neighbourhood of $10 billion, and it could grow up to $150bn”, Lifenews.ru quotes Alexander Eremenko, managing partner BrandLab. "I'm happy to support the decision to establish a concern "Kalashnikov". It’s an honor for me! After all, my name does not belong to me anymore, it has already become the property of the whole country, all Russians," Kalashnikov said in a statement to the Izhmash press secretary. In October 2011, Mikhail Kalashnikov won a lawsuit against the Swiss company Vinista and French distributor Hexis Energy for illegal use of his name for commercial purposes as they planned to produce an energy drink called Kalashnikov. Izhmash has been manufacturing Kalasynikov guns since the world famous assault rifle first went into mass production in 1949. Izhmekh is better known for its production of Makrov and Yarygin pistols. Izhmash, a 205-year-old factory and remains an icon. Production output sharply decreased after the conclusion of World War II, and post Soviet Union. A mechanic tank commander, Kalashnikov was in charge of an anti-Nazi brigade near the town of Bryansk, south of Moscow, in 1941. Here he first experienced the deadly effects of the German automatic assault weapon the ‘Sturmgewehr 44’, and began developing his own design. In 1947 the design was perfected and the AK-47 was born. 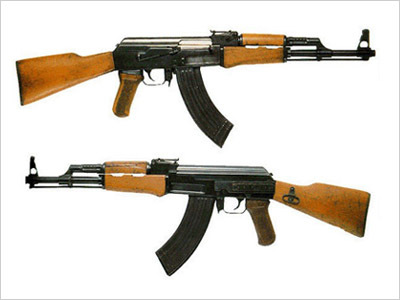 The Kalashnikov has undoubtedly changed Soviet and post-Soviet warfare, at home and worldwide. In 1956 the AK saw its first successful campaign, when Khrushchev dispatched soldiers in Budapest, Hungary, and Russians only suffered 7,000 casualties, compared to 50,000 Hungarians. Kalashnikov created the greatest killing machine in human history -- a colossal influence in the weapons industry-- and is now passing on his legacy. Kalashnikov, 93, was discharged from the hospital just before the New Year holiday after a week-long preventative treatment stint. According to the Izhmash press secretary, Kalashnikov feels energized.